Colorado winters bring much more than world class skiing and picturesque reliefs of the snow-covered Rocky Mountains. Our great state is home to a variety of winter festivals taking place all winter long. From coffin races to ice climbing competitions, there’s an interesting winter event around every corner. Check out our favorites below. Home to some of the best ice climbing in the country, Ouray is set to host its annual ice climbing competition. Its renowned terrain draws ice climbers from around the globe. You don’t have to be a climber to enjoy this event, however. Watch the competitions, visit vendor booths, or take in Ouray’s old west charm with a stroll down main street. Nighttime is filled with concerts, dance parties, and live and silent auctions bringing competitors and guests together for a truly enjoyable celebration. This festival provides visitors the opportunity to experience Ouray like never before. The largest extreme sporting event is celebrating its 18th year at Aspen Snowmass. Snowboarding, skiing, snow biking, and snowmobiling competitions will take place throughout this 4-day event and are all for public viewing. In addition to these thrilling events, Aspen’s X Games is known to host some of the best musicians and bands in the nation. This year’s festival is no different – Lil Wayne, The Chainsmokers, Kygo, and more are set to take the stage. This is one of the most popular winter sports festivals in the world and it’s happening right in our backyard. Red Rocks is a celebrated summer venue for some of the biggest headliners in the world, but it shouldn’t be overlooked because temperatures have taken a nose dive. For the eighth year in a row, Red Rocks will host its one and only winter concert. Featuring artists Atmosphere, De La Soul, and Living Legends. Get a jump start on the Red Rocks season with this event. The streets of Steamboat shut down for the city’s annual Winter Carnival. This celebrated tradition hosts a variety of winter sporting events, including ski jumping, cross-country obstacle races, and the infamous Diamond-Hitch Parade. The parade showcases skiers of all skill levels getting towed down a snow-covered main street by cars, bikes, and even horses. The Steamboat Winter Carnival celebrates the town’s wild west heritage and its one-of-a-kind terrain. For its 12th year in a row, Cripple Creek will host a spectacular ice festival. Sculptors from all over descend upon Cripple Creek to showcase their talents through ice carving. This year’s theme is ‘Super Hero’, but activities aren’t just limited to ice carving. The festival is complete with an ice slide, interactive sculptures, a liquor luge, and much more. Steamboat Springs will host its 7th annual WinterWonderGrass festival this February. This music festival combines prominent musicians and fresh powder to give visitors the best of both worlds. Ski during the day and dance to live music after the slopes close. Trampled by Turtles and The Infamous Stringdusters are just a few of the incredible acts set to perform this year. This LGBTQ Telluride tradition involves all sorts of events that encourage new friends and awesome stories. Ski some of the best terrain in the San Juans and finish up with après ski cocktails in this charming Colorado mountain town. This is a full value festival – complete with drag shows, pool parties, and an AIDS Benefit Fashion Show. The quiet town of Nederland opens its doors to visitors from around the world to participate in this unconventional winter festival. Frozen Dead Guy Days features 30 bands, coffin races, a polar plunge, human foosball, and much more. Participate in an event or simply stroll down the main thoroughfare and enjoy costume contests, delicious food, and the vibrant, quirky energy particular to Frozen Dead Guy Days. Colorado is a melting pot of tradition and eccentricities, and these winter festivals are no exception. 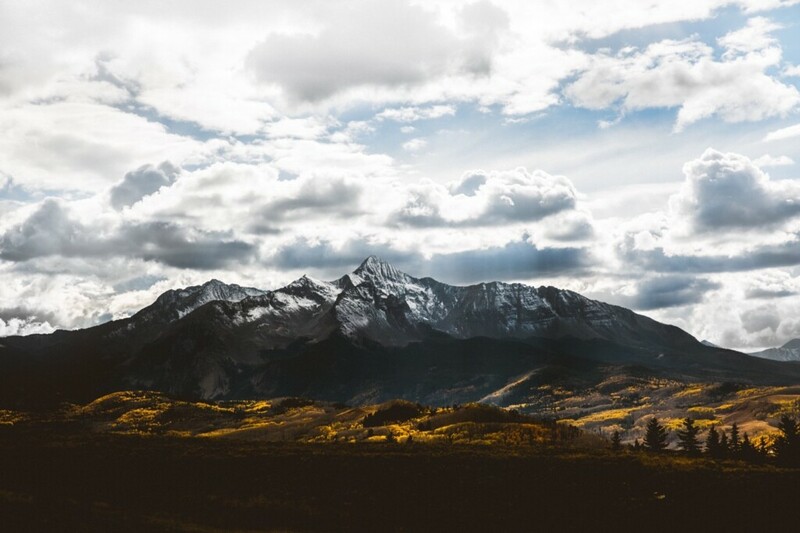 Experience the Centennial State’s history, play in its beautiful mountains, and meet the people who add the colorful character to this place we call home.